Uma Thurman married Gary Oldman at the age of 20 but her husband loved another woman and used to drink alcohols. They divorced after two years. They didn’t give birth to children. Uma Thurman married Etan Hawke and gave birth to a daughter Maya in 1998 and a son Levon in 2002. But they got divorced in 2005 because Ethan had an affair with the nanny of their children. She has problems with her circulatory system. But instead, she gave birth to her third child, Rosalind, whose father is a Swiss financier Arpad Busson. In 2014, the couple broke up. She is now living single however, it was heard that she appeared with her director Quentin Tarantino but neither the actress nor the director made an official confirmation of their relationship. 1 Who is Uma Thurman? Uma Thurman is an American actress and model who has performed in a variety of films, ranging from romantic comedies and dramas to science fiction and action movies. She is famous for her role in ‘Pulp Fiction’, for which she was nominated for the Academy Award, the BAFTA Award and the Golden Globe Award for the Best Supporting Actress. She was born on April 29,1970, in Boston, Massachusetts, USA. Her birth sign is Taurus. Her birth name is Uma Karuna Thurman in which her first name ‘Uma’ indicates ‘Splendour, light’ and her middle name ‘Karuna’means ‘empathy’ or ‘compassion’. Uma father’s name is Robert Alexander Farrar Thurman and her mother’s name is Nena von Schlebugge. Her father was a professor of Indo-Tibetan Buddhist Studies and her mother was a fashion model. She suffered bouts of body dysmorphic disorder during her childhood. She has three brothers, Ganden, Dechen Karl, and Mipam and a half-sister named Taya, from her father’s previous marriage. She debuted as a fashion model at the age of 15 and started modeling in ‘Galmour’ and ‘Vogue’. Uma holds American citizenship and her ethnicity is a mix of English, Scottish, German, Scots-Irish/Northern Irish, Swedish and Danish. She has done her schooling from Amherst High School and in her study period at school, she discovered her love for acting. She studied Northfield Mount Hermon School before dropping out to pursue a career in acting. Uma debuted film with ‘Kiss Daddy Goodnight’, in 1987. 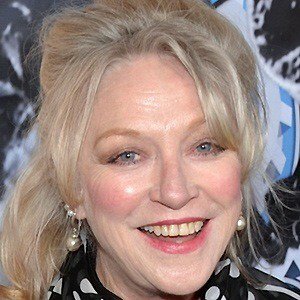 She cast three movies in 1988: Jonny Be Good, The Adventures Of Baron Munchausen and Dangerous Liaisons. Uma recognized from critics and audience from her drama ‘Dangerous Liaisons’ where she played the role of a naive young woman seduced by a manipulative man. 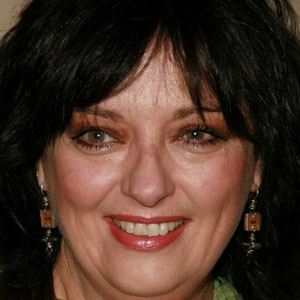 Thurman portrayed ‘Mia Wallace’ in Quentin Tarantino’s black comedy ‘Pulp Fiction’ in 1994 and the fil crossed US $13.9 million worldwide and she was no, nominated for the Golden Globe and the Academy Award for her Best Supporting Actress and she launched into the celebrity A-list. She acted in numerous films like ‘The Avengers’ in 1998, ‘The Golden Bowl’ in 2000, ‘The Producers’ in 2005, ‘The Life before her Eyes’ in 2007, ‘Ceremony’ in 2010, ‘Playing for Keeps’ in 2012, ‘Movie 43’ in 2013, ‘Burnt’ in 2015, ‘The Con Is On’, ‘The House That Jack Built’, ‘The War with Grandpa’ in 2018. She is being recognized as the actress, capable to deliver complex challenging roles, solely relying on her acting skills and not beauty. She has a net worth of $45 million and her salary is still under review. Uma and Quentin rented one villa for two of them. They hold their hands and Uma put her head on the shoulder of Quentin. Everyone who saw them felt the relationship between them. But neither the actress nor the director declared their romantic relationship. Another controversy is Thurman revealed that Weinstein had sexually assaulted her in 1994 at the Savoy Hotel. She also revealed that at the age of 16, she had been sexually assaulted by an actor 20 years her senior. She has a height of 5 ft 11 inches and weighs 64 kg. Her eye color is Blue and She has blonde hair. Her bra size is 34C, shoe size is 6(US) and dresses size 6(US). She has got a body measurement of 36-25-34. She has got around 901.1k followers on Instagram, above 12.6k followers on Twitter and around 209k followers on Facebook. To know more about early life, family, education, profession, net worth, body measurement, social profile of Drena De Niro, Alex Lange and Jace Norman, please click on the link. Find out what your Celebrities wore on Cannes Film Festival 2017 Red Carpet Fashion!